I worked at Pepper Money for 3.5 years as a credit analyst in the Asset Finance department, and then a Credit SME (Subject Matter Expert). My role was to provide all the relevant credit related requirements to build the new system. At the end of my time at Pepper, I had gained quite a bit of knowledge and experience as a Business Analyst, and had been part of Testing and Implementation. I saw Lendi’s job advertisement for a BA and noticed most of the job requirements matched my skillset. I applied immediately without hesitation. Within 24 hours I got a call from Elliot (Head of Talent Acquisition) and I had my initial phone interview. My final interview was with Lendi’s CEO, David Hyman. It was this conversation with David that convinced me Lendi was the place I needed to be. David explained the role and expectations of Product Owner of Deal IQ. It matched everything I was aspiring to work towards and I knew this would be a fantastic start for me as a BA/Product Owner. Just as a side note – that interview with David was the toughest I have ever faced! It’s clear to see that Lendi is always striving to improve customer and employee experience. Lendi is proactive with their approach to be an industry leader in this space. To achieve this goal Lendi is always seeking out expert individuals to work with. Plus, the constant technological improvements and enhancements are making it easy for customers to get better home loans. That said, it can get chaotic at times, but the teams never forget the value of respect, both internally and externally. Each and every department is respectful towards each other and it’s driven from the top down with our Executive team who exhibit this quality daily. Lendi is PEER – PEER is Lendi! My first goal is to exceed expectations as a product owner of Deal IQ. This will be driven through our company’s core values (PEER). My goal is to gain knowledge and experience as a Product Owner/BA and strive to be an integral part of the company’s operation. Ultimately, I would love to collaborate with the vast number of smart individuals within our company and hopefully leave a positive mark in the Lendi legacy! Here at Lendi, we're always looking for smart, driven individuals who share our passion for innovation and continuous learning. 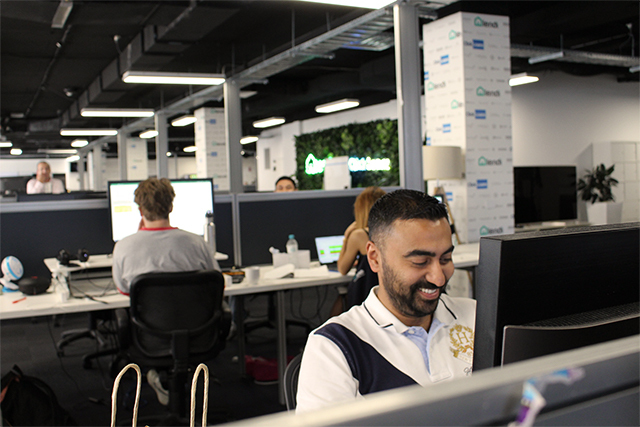 If you'd like to join one of Australia's fastest growing companies, check out our job openings. Search an address for price estimates and sales history. Dreaming of purchasing a new home? Find out how much you could borrow with our calculator.